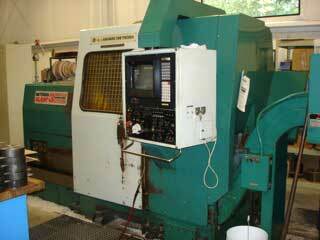 Our turning department can also run prototype and large production runs. Equipped with LNS quick load bar systems/high pressure coolant pumps allows us to produce parts quickly and cost effective. 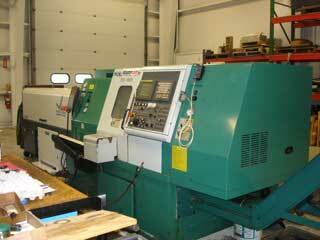 The TW-20 6th axis Lathe is a twin spindle/turret, live tooling turning center. This machine has live tooling stations on any turret position. High pressure coolant on both spindles helps eliminate the need for peck drilling. It is possible to cut our cycle time by 50% or more with the twin spindles. This makes the machine an excellent example for large production runs. The SC-300 is equipped with an LNS quick load bar feeder system which enables us to load material automatically in under 20 seconds. The SC-150 has live tooling on a single turret. 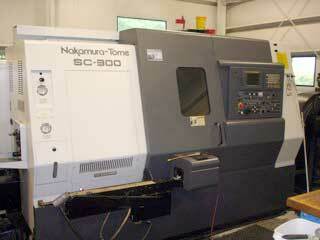 This machine is equipped with a sub spindle for machining the back side of the part as well. 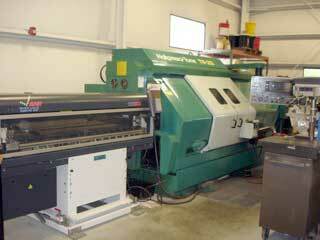 Also equipped with an LNS quick load bar feeder. The Nakamura Slant III is also equipped with a programmable tail stock, which enables us to turn long shafts on centers.